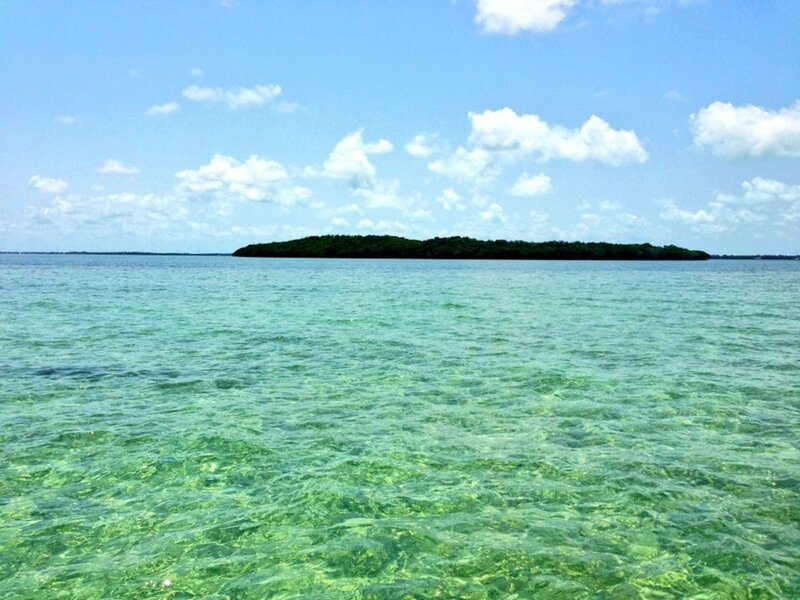 The beauty of Key Largo is held within its own botanical landscape. The beauty is unmatched elsewhere and the range of things to do is unrivalled. Plenty of scuba diving is available at the John Pennekamp Coral Reef State Park or the sunken shipwreck USCG Duane. Dolphin Cove also produces a pleasurable day out and allows you to get in the water and swim with dolphins, a one of kind bucket list experience. In 1582, Captain Rodriguez was sailing the Bahama Channel when a terrible storm came out of nowhere and sank the ship with a hull full of pearls. The key was named after this brave and heroic captain. Generally the waters are calm, warm, and smooth which makes exploring Rodriguez Key the perfect way to get your adventure fix in for the day. You could surf the waters, snorkel, fish, scuba dive, or even go on kayak adventure. There’s too much to do in one day so plan on staying for a bit. 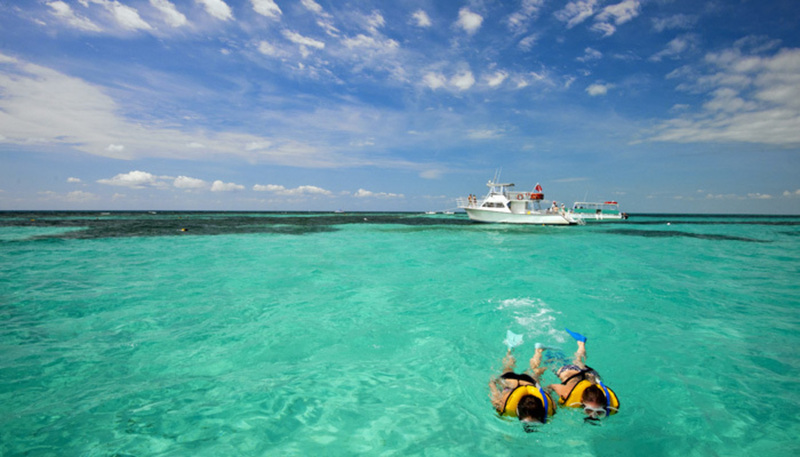 Molasses Reef is the number one visited coral reef in the Upper keys and perhaps the world for scuba diving. The water is clear and diving here is a special experience because of the sheer amount of fish in this area. In fact, it is reputed to be the world’s fishiest reef. With a lot of shallow reefs, spur, and groove reefs, it is very much diver friendly and dive ready. 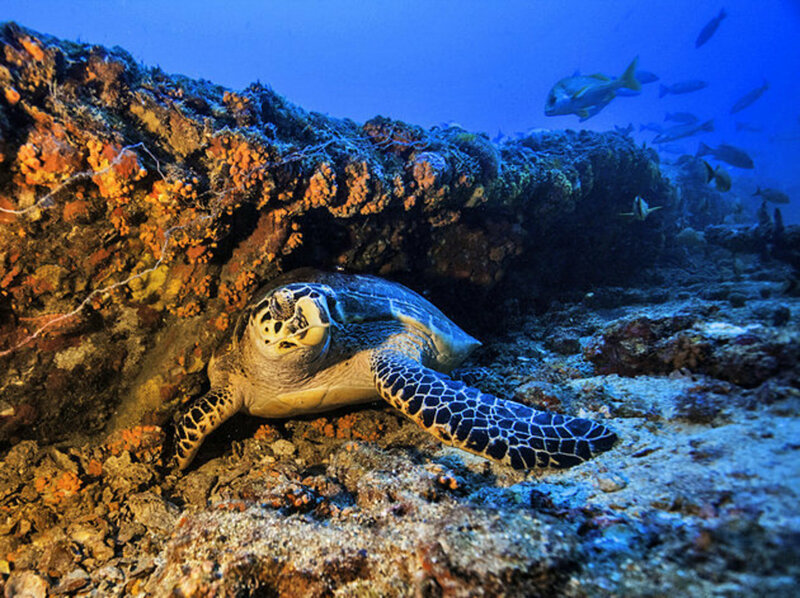 Most of the dive sites are found within the 15 and 50-foot range with an area seaward within the 65-foot range. Visiting Dolphin cove is an experience you will find very hard to forget. From the moment you start swimming with the dolphins you will know you are having a really wonderful experience. However, only persons 7 years old or older are allowed to swim with the dolphins. Dolphin cove offers a natural swim Dolphin encounter, which means that it is a freestyle snorkel program. They will interact and swim freely with their human visitors. This is the first undersea park in the country and it encompasses 70 nautical square miles. The coral reefs and associated marine life are the reasons why most visitors visit the park and will probably be the reason for you to visit this park as well. Kayaking and canoeing are the more popular activities utilized to enjoy the park. Fishing is also permitted in designated areas. As a visitor, you can also decide to walk on short trails, picnic, or swim in the pristine waters. This bronze statue is eight feet tall and weighs an astonishing 4000 pounds in just about 25ft of water right off of Key Largo. 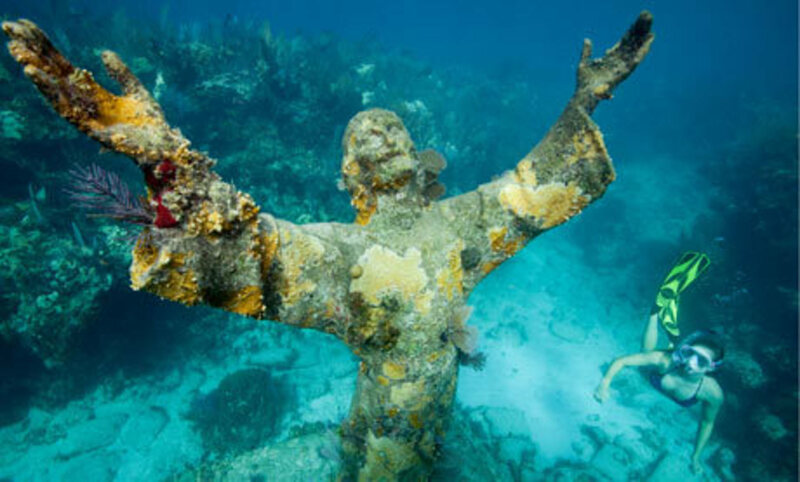 Located near the Dry Rocks no more than 6 miles east-northeast of the Key Largo cut in the Coral Reef state park, this statue is a huge tourist attraction for all. In order to take the best underwater selfie ever make sure to pick a day when the wind is calm and the sun is bright. Don’t forget the waterproof camera as well!